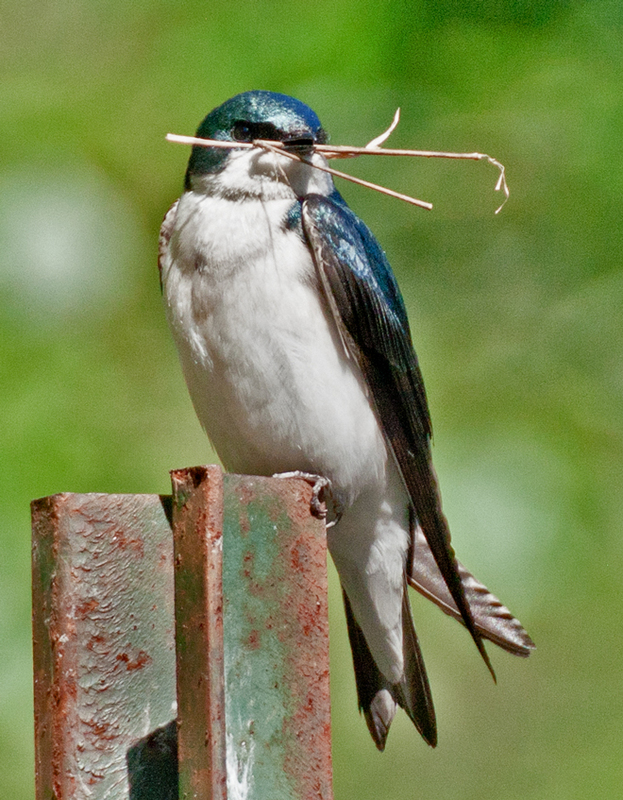 Today I got this shot of a Tree Swallow (Tachycineta bicolor) gathering materials for a nest. 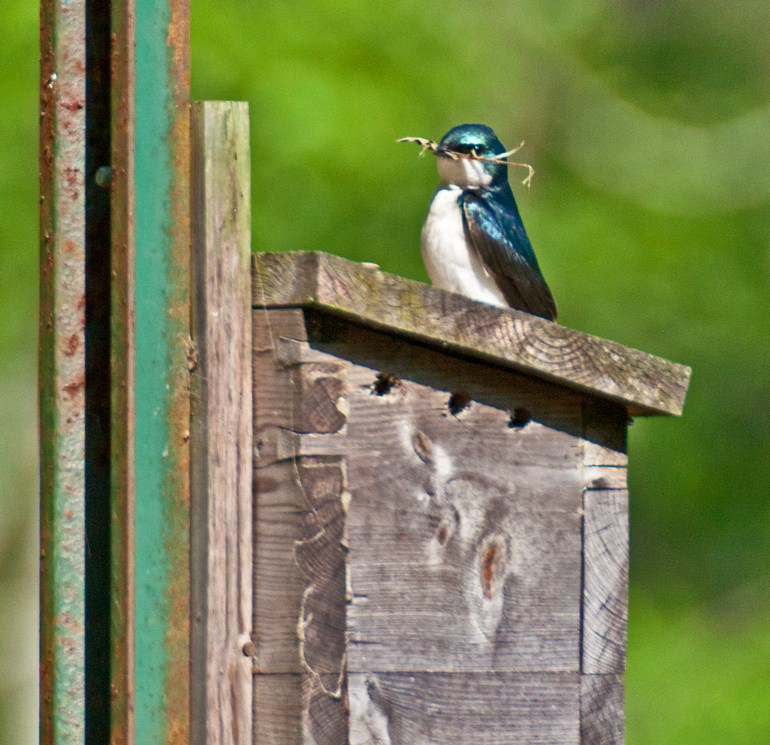 I suspect that the swallow is using the nest that is attached to the metal pole on which it is perched, although I never actually saw the swallow enter the box. That first shot is a fine portrait, Mike. Very nicely done! Thanks, Gary. I added the second shot mainly for situational awareness, so folks would have an idea of what I was talking about when I mentioned the nesting box. Nice shots. I like the way he shines in the sun. Thanks. It’s been mostly birds recently, but hopefully soon I’ll have more insects and flowers too.